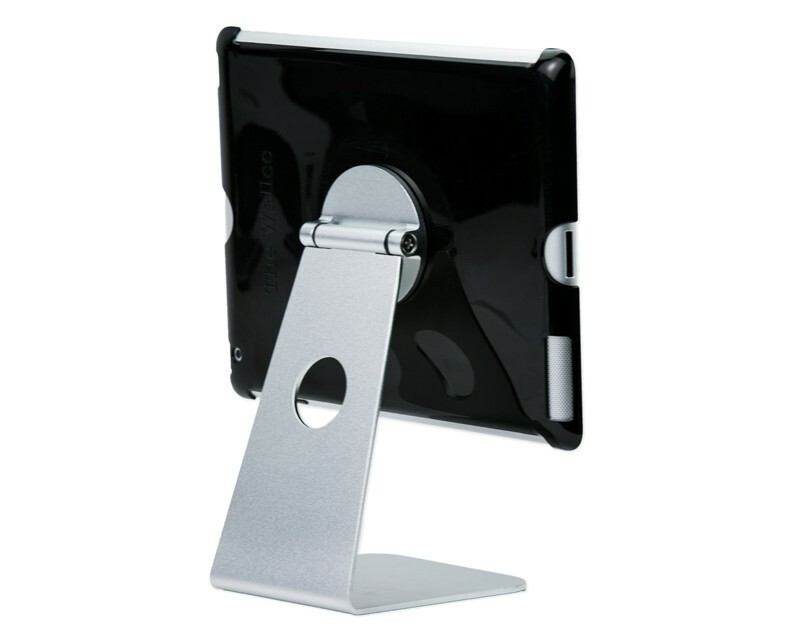 The Studio Proper Wallee Pivot, an elegant iMac-style stand, coupled with Wallee’s patented locking mechanism, enables the iPad or tablet to securely float when docked in the Pivot. The Studio Proper Wallee Pivot, an elegant iMac-style stand, coupled with Wallee’s patented locking mechanism, enables the iPad or tablet to securely float when docked in the Pivot. The Pivot is the perfect complement to any desktop environment whether at the studio, office or home. Mounting the iPad is easy. Positioned in the Wallee Case (sold separately), simply rotate the iPad onto the Pivot. A quick turn and an audible click and the tablet is securely mounted. Another spin and it quickly swings between portrait and landscape orientation.